What a great job the team at Brainstorm Force have done after our request and sponsorship for a plugin that could be used to Time Content in Beaver Builder. (This is also away for us to give something back, in a small way, to the WordPress community). Brainstorm Force, the people behind Ultimate add-ons for Beaver Builder were approached after requests from our clients to have a way of removing content after a certain date and time. This would also save us having to go on to a number of websites and make changes at a certain time on a certain day. 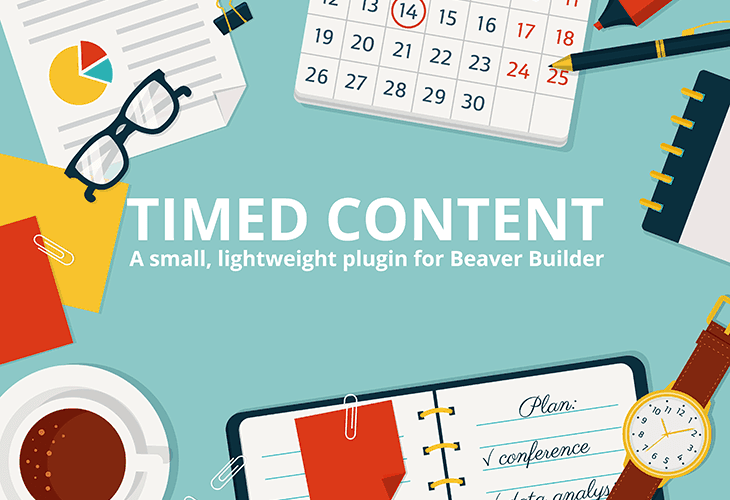 Better still, a way of showing content from a certain date and time to an end date and time, this the team have achieved, very well in a lite, easy to use the plugin for Beaver Builder and you don’t need to necessarily have UABB installed on your website to use it. You have the ability to add a start and end date and time to the following types of content, Content, Saved Rowes, Saved Modules and Saved Page templates. The time is set via the server and not the time on the local computer so the content is always set to the correct date. What more could you ask for? I would like to congratulate the team on their work and I hope you find it as useful as we have for your Beaver Builder projects. You can visit David on all the following links below, He is a really nice guy! You can download the Timed Content plugin from the WordPress repository by following this link.